Expected to open in the fall of 2017, the Jerry Richardson Indoor Stadium in Spartanburg, South Carolina, will be a 123,000-square-foot facility that will include a 3,400-seat basketball arena and a 500-seat volleyball competition venue. Detailed by Virginia Beach, Virginia-based Virtual Steel Technologies, the design-build project incorporated state-of-the-art processes. The company initially constructed the model in SDS/2 from the Autodesk Revit Structure model. All subsequent information — such as elevations, slab edge, stair and mechanical openings, joists and deck — were derived and coordinated from the project’s governing models: architectural, structural, precast and joist. 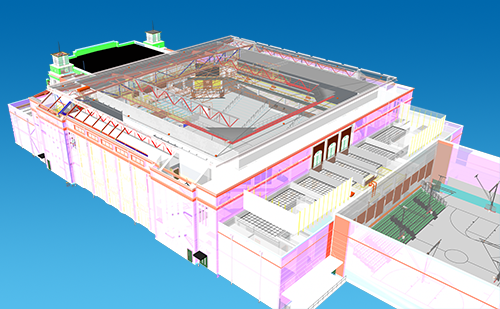 The project team relied on full virtual approval, using SDS/2 Approval. Each design team member logged on to a real-time, cloud-based SDS/2 model for instantaneous communication and approval, allowing for approval in days, rather than weeks. Fabrication and erection took place almost simultaneously. To see more about the project, including how SDS/2 Erector streamlined work in the field, click here. Design Data has an opportunity for our customers to share their SDS/2 success stories at NASCC. 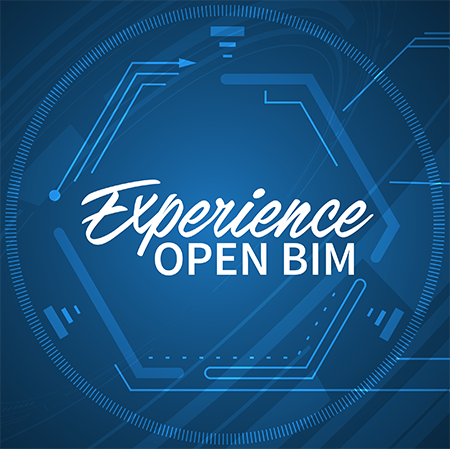 As part of the Experience Open BIM booth — located at booth #7025, adjacent to the main SDS/2 booth (#7017) — we're giving our customers and partners an opportunity to talk directly to conference attendees via a 20-minute presentation. If you're interested in presenting on the role SDS/2 plays in your company's success, please email Michelle McCarthy to schedule your session. Please note that availability is extremely limited, and responses must be received by February 24. If you haven't yet signed up for the 2017 NASCC, which will be held March 22-24 in San Antonio, Texas, click here to register. Steve Wisniewski, who has been at Design Data since April 2008, was recently promoted to support manager. He has worked as a support specialist, providing daily customer support, and has also instructed both Basic Training and Continuing Education courses. Most recently, Wisniewski has been focused on developing detailing templates. "The success of our customers is my top priority," said Wisniewski. "I'm striving to ensure our customers have the knowledge and resources available to make them successful." David Zabka, who was previously the manager of the support department, has taken a new position as concrete sales representative. In that capacity, he will assist with the development of and be responsible for sale of the rebar/concrete detailing solution. Zabka has been with Design Data since June 2006. Customers who had Zabka as their support representative have been assigned a new support rep; those impacted customers will receive notification via email about the change. Design Data will once again be exhibiting at the North American Iron Workers/IMPACT Conference, which brings together ironworkers, labor management leaders, business owners and contractors in the construction industry. 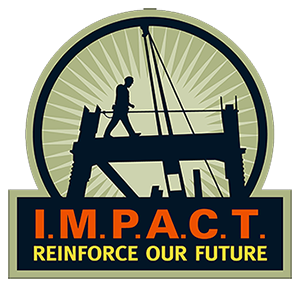 IMPACT is a labor management partnership designed to provide a forum for union Ironworkers and signatory contractors to address mutual concerns and encourage reasonable balanced solutions. To learn more or to register for the conference — which takes place March 19-21 in San Diego, California — click here.